The bathroom has some serious responsibilities in your home: it provides a huge chunk of your home’s functionality, and though it’s a private spot, it has to look great when guests are over. People dream of a bathroom as large as a bedroom, with a sleek curbless shower, soaking tub, floating vanity, and plenty of room. 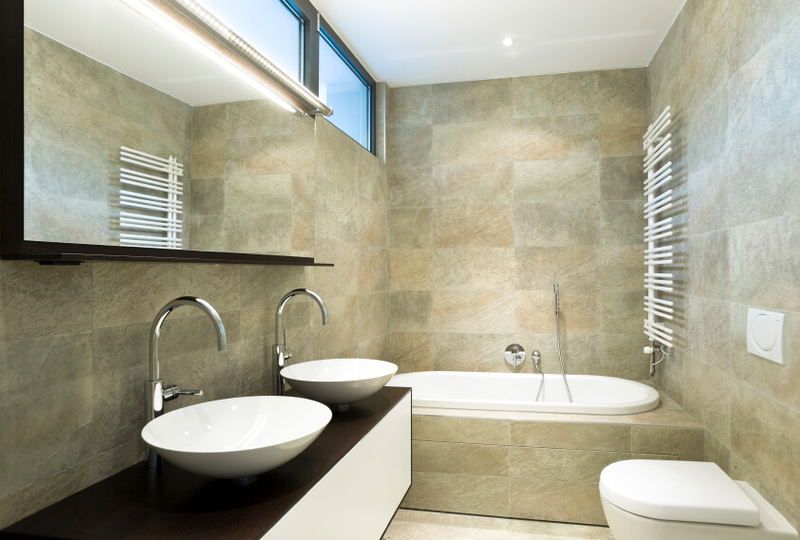 Achieving this kind of luxury is no problem with a large space and generous budget, but small bathroom remodeling can be challenging — you want a welcoming, comfortable space that doesn’t feel cramped. Here are a five brilliant small bathroom layouts that prove you don’t have to sacrifice style or functionality just because you’re working with a small area. 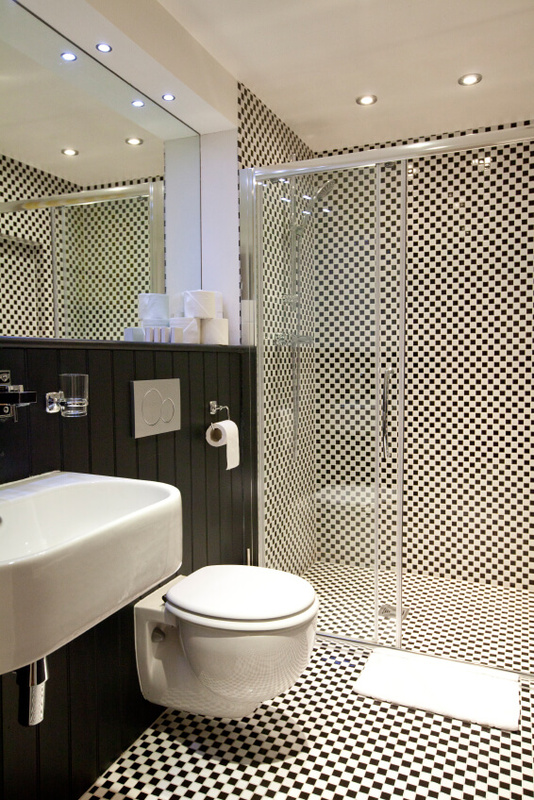 This small bathroom manages to pack in lots of style. The mosaic tile complements the larger tiles and takes the eye up, making it feel like a larger space. This light and fresh small bathroom manages to achieve functionality for two people without making the space feel crowded, likely because of the clean lines, symmetry, and neutral color scheme. The large window helps, too. Red modern bathroom with a curbless shower. 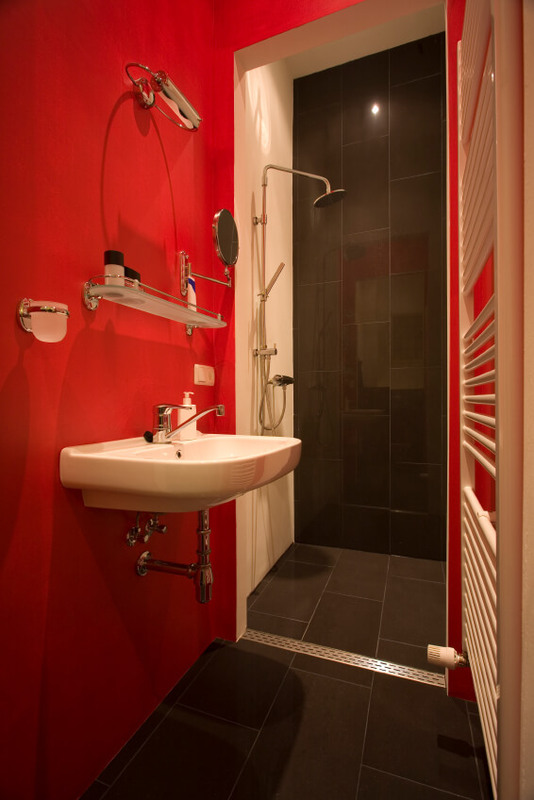 This tiny bathroom makes great use of the narrow space with a curbless shower and punchy red wall color. We love how the black-and-white checkered tile is broken up by black wood paneling just enough to make the space feel bold yet complete. This is another great example of using curbless showers in a small bathroom to make the space feel much larger. The shelf installed below the mirror helps with storage, too. 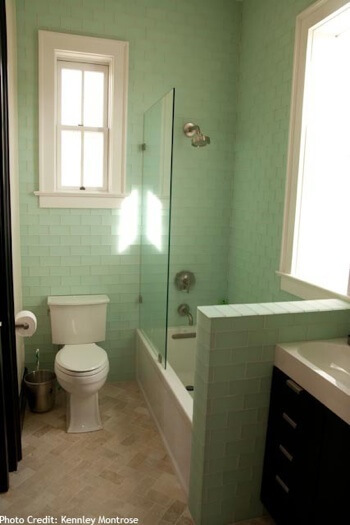 Green glass tile bathroom with tub. By Craft Design Studio. Without those windows, this space might have felt like a cramped closet. 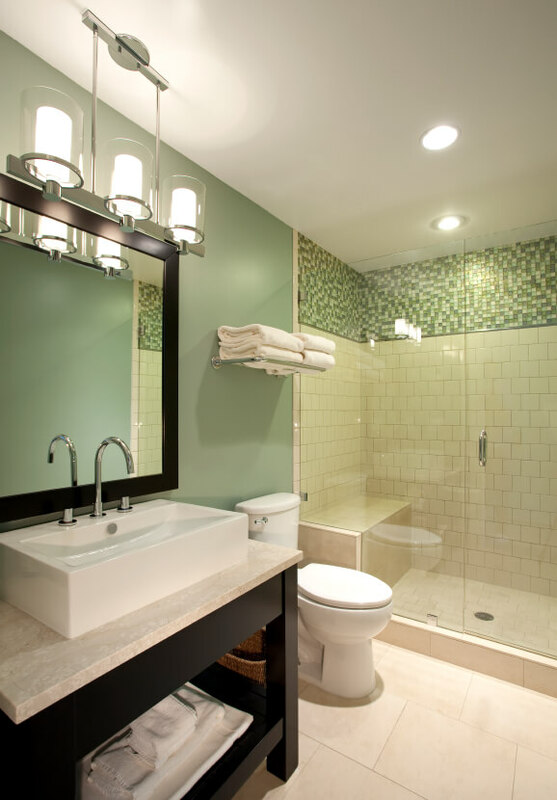 The combination of natural light and light green glass tile, plus a half-sheet of glass instead of a shower curtain, all make this a brilliantly designed small bathroom. How Accurate is my Zillow Listing?